Best Home & Property Services addresses this need with the SmartSump™ Crawl Space Sump Pump. Equipped with a cast-iron Zoeller® sump pump, a reliable liner, a sump alarm, and an optional battery backup sump pump, it's exactly what you need to ensure a dry crawl space all the time! 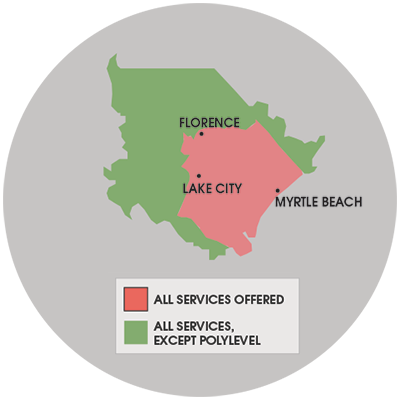 We service Myrtle Beach, Florence, Sumter and many nearby areas in South and North Carolina, including Lancaster, Conway, Georgetown, Hartsville, Camden, Bennettsville, Darlington.